Unless you are fortunate enough to have a good deal of money stashed away, most businesses need to raise money for either start-up costs or expansions. There are two basic ways to build your business’s capital structure. You can find investors or you can borrow the money from a lender. Depending on the size of your business, you may even need to do both. It is important to remember that every business is different and what worked for someone else you know may not be the best option for you. Base our decision on facts and good information, not word of mouth. Before you decide between courting investors or borrowing money, you should weigh out the pros and cons of both options to figure out what works best for your situation. Many business owners are uncomfortable with the idea of sharing their business with investors and prefer to raise the funds they need on their own. If your financial needs are relatively small, you can apply for a personal loan through websites like westernsky.com, prosper.com, or creditloan.com. 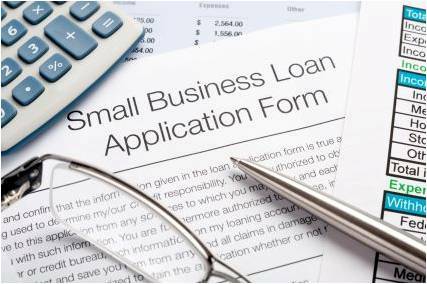 If you have larger needs, then you might want to consider a small business loan through the U.S. Small Business Administration (SBA) or your local bank. In most cases, as long as you make your loan payments on time, you do not have to worry about the lender interfering with your business. Another benefit is that that you can deduct the interest on your small business loan as an operating expense on your taxes. Loan terms are simpler and far more structured than deals with investors because you just have to pay the money back and there are no additional complications to your business’s financial structure. The profit you earn is yours to keep and you do not have to share it with anyone else. Obviously, the biggest downside to borrowing money is that are you are starting your business or expansion off by going into debt. If things do not go as well as expected, or you start having cash flow problems and cannot make your loan payments, things could get nasty quickly. Additionally, lenders like the SBA may place restrictions on what you can do with their money. For example, they may not allow you to implement a profit-sharing program until the debt is repaid or they limit how much of your business space you can rent out to another business. While all of these are only temporary limitations for the term of the loan, they can be stifling for some business owners. Interest rates for loans can also be high, so factors like the business’s assets, expense and credit may be justification for lenders to charge you a higher interest rate than a private investor might. 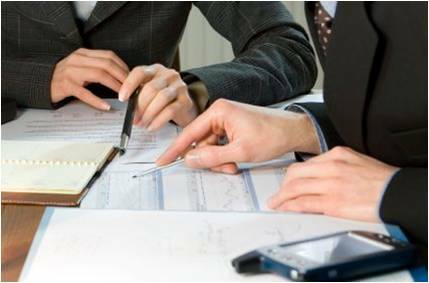 In addition to your business plan, you will also have to provide the lender with sensitive information about your business’s operations and finances. While most investors do want to see a profitable return on their investment, they do realize that the business has to be doing well first. In many cases if your business is facing challenges, you have a better chance of reaching agreements with your investors than you do trying to renegotiate loan terms with a bank. Another advantage to collaborating with investors is that you reduce your own personal risk if the business, or expansion project, does not go as well as you planned. Because your success and their return on investment are entwined, investors will want to reduce their risk. That means you will likely have to provide them with financial records, proof of ordinance requirements and other financial information about your business’s well-being. While this may seem intrusive to some, others find it helps keep them organized and if they veer off track, their investors can help them get things back under control. Working with investors will allow you to share some of the responsibility for running your business. Very few investors are going to take an entirely “hands-off” approach to your business’s operation when their money is at stake unless you find an angel investor. While some business owners find investors helpful, others consider them a horrible nuisance at best, and at worst, an impediment to their business. You can negotiate how much involvement and investor is allowed to have before you accept his or her money, but most will want some say in the decisions you make for your business. The investor may even want partial ownership of the business until you reach a point where you can buy him or her out. The most problematic part of taking money from investors is that they rarely offer basic loans and will likely want a share of your profits. If your business is doing well, then you will have to share your net profits with your investors. On the other side, if your business is losing money, you bear the burden of that loss on your own because investors are not likely to put any more money into a failing business. Deciding between which type of financing is best for your business is difficult. If you are starting a new business, take a hard look at the financial section of your business plan. Be realistic about your forecasts and determine whether you really can succeed on your own. If you are funding an expansion, then go back over your profit and loss statements for previous years. If you find that you are cutting things closer than you would like, then your business may not be healthy enough to fund a major expansion based on your sole ownership. You might need to rely on investors in order to make your business growth plans work. In either case, consider all your options and have a solid game plan in place before you accept money from anyone. The best option is the one that will allow you to maximize profits with as little risk as possible. Dona Collins is a personal finance specialist who enjoys helping small business owners find the funding they need to grow and succeed.